On the first Sunday of most months, we have an informal service at 6.30pm at St Saviour’s. These less formal services offer an opportunity to try out a range of ways of praying. 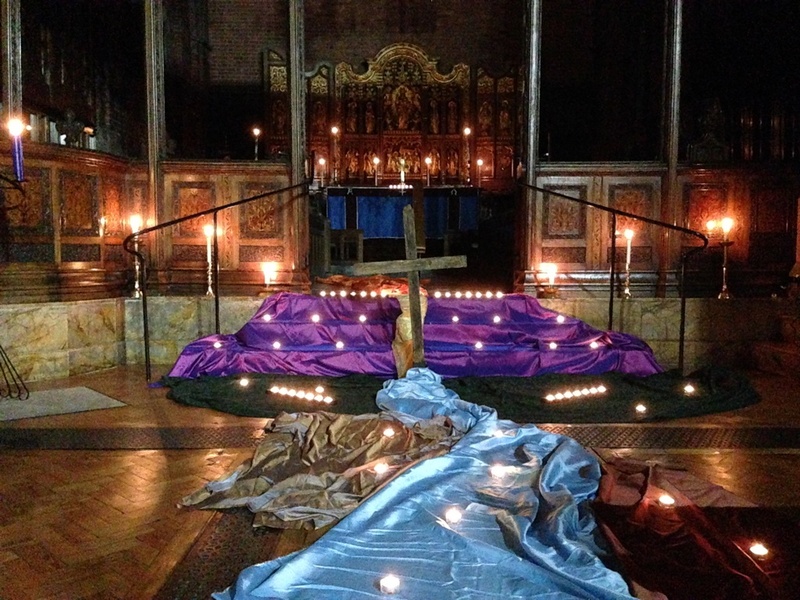 A simple service, using the beautiful and distinctive music of the ecumenical Taizé Community, together with a short reflection of Holy Scripture. For examples of this type of Church music, click here and then click on the MP3 links. A lovely service, giving us the opportunity to sing a number of our favourite hymns, together with interesting background information about them. The service includes a sermon, often on one of the psalms. A quiet Holy Communion service, which includes an opportunity for anointing and prayer for healing. If you wish to be prayed with simply come forward to the altar rail, where a priest or a lay person will place their hands on your head and pray briefly for you. If you wish to ask for specific prayer, there will be an opportunity to do so at the end of the service. All of us need healing in our lives in one way or another – why not come along? Click on the link for more information about healing.